Ruchir Sharma uses his own unique methodology with this look into a crystal ball as he tries to predict which countries will be the next to experience high rates of economic growth. By looking at a wide range of factors, demographic, political and economic he produces a provocative, idiosyncratic read. Rather than just extrapolating data from the past to make future predictions, Sharma considers unusual indicators, such as how the high cost of a mojito in Sao Paulo or the cross border success of Korean pop music might drive the future trajectory of these nations. 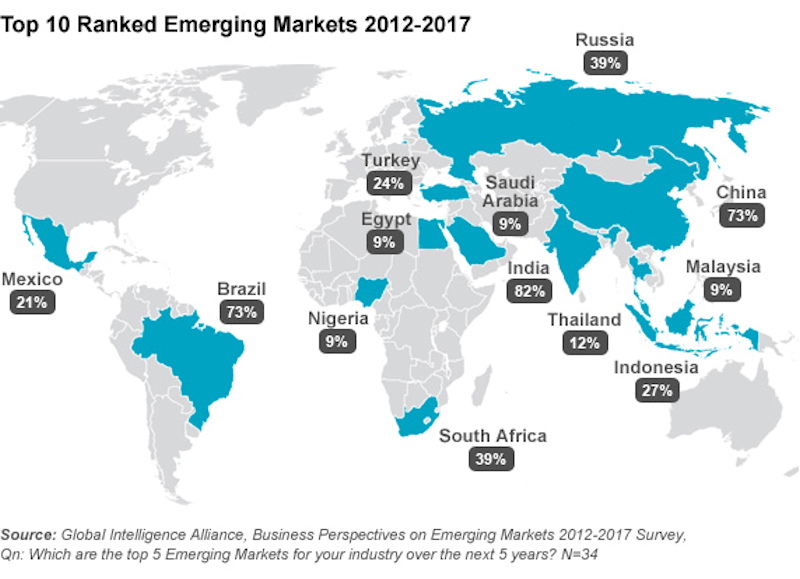 Compared to Breakout Nation, The Growth Map is a bit more conventional in its approach, and comes with the heavyweight kudos of being written by the legendary Goldman Sachs economist Jim O’Neill, who is famous for inventing the BRICs moniker, and since then, has been a constantly quoted commentator on all matters emerging markets. The book looks beyond the hype around emerging economies and revisits the BRICs economic prospects ten years on from when he first coined the phrase. He also casts an eye over the prospects of other rising powers such as Indonesia , Turkey and South Africa, compared to Sharma’s work, this book feels more authoritative, but also much less provocative. Chinas Super Bank tells the tale of the China Development Bank (CDB) which went from obscurity and near bankruptcy financing local governments in rural China, to one of the world’s most powerful, yet unheralded banks in the space of a generation. This power derives from its massive lending to developing countries, particularly those given the cold shoulder by the west, such as Turkmenistan, Venezuela and Ecuador. The book describes the Bank’s pivotal role in promoting Chinese interests abroad, its massive balance sheet helping to secure natural resources, Venezuelan oil, Turkmen gas, Peruvian copper and so on, to help power on the ongoing industrial revolution at home. This book is the result of an incredible seven year project which took the authors, two Spanish journalists based in Shanghai, around the globe meeting the workers, managers and entrepreneurs behind China’s “going out strategy”. Through interviews with Chinese migrants and those who work with them they paint a vivid portrait of globalization Chinese style and try to understand the motivations behind what drives people to leave booming China. The book really gets a feel for the often tough lives they lead, but also appreciates the impact on the host country. This book is a great piece of journalism and is told through a series of beautifully written vignettes rather than the usual procession of facts, analysis and figures. I saw the two authors give a talk promoting the book at the LSE in London, and what stuck in my mind was their admiration of the individuals and their flair for entrepreneurship and daring to move abroad and start new ventures, but also how they decried the environmental damage and social exploitation that so often accompanied Chinese investment.